A brand-new noodle joint has opened its doors in the neighborhood. Located at 7 Cornelia St. in the West Village (between 4th and Bleecker streets), the newcomer is called Menkoi Sato. The restaurant specializes in Sapporo-style ramen: all three of its broth types (shoyu, miso and spicy miso) are chicken-based, and all come with chicken meat as well as chashu pork. Other toppings include scallions, bamboo, seaweed and sesame seeds. With a five-star rating out of 29 reviews on Yelp so far, Menkoi Sato is on its way to becoming a beloved local fixture. 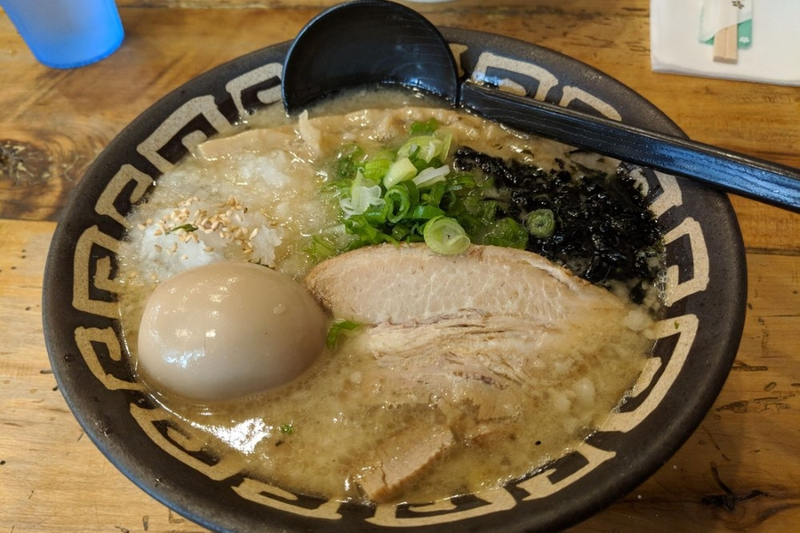 "When you're ready for the singular greatest ramen you can have on the East Coast," wrote Yelper Mike P., "you come to Menkoi Sato. The broth is the most delicious ... It's big and rich and filling. ... This is one of those times when the product is worth the price." Yelper Ian O. added, "The chicken was cooked so well it almost melted, the noodles were firm and fresh and wonderful, and the broth was a bit thicker than I'm used to, but quite good." Swing on by to take a slurp for yourself: Menkoi Sato is open from 11:30 a.m.-midnight daily.